BBC Scotland will broadcast live television coverage of the Scottish Cup fourth-round tie between Aberdeen and St Mirren. The Dons, last season's tournament runners-up, host the Buddies at Pittodrie on Saturday 20 January, with the match kicking off 12:15 GMT. There will be 13 other fourth-round ties that day at 15:00. Fraserburgh v Rangers and Hearts v Hibernian will be played on Sunday 21 January. 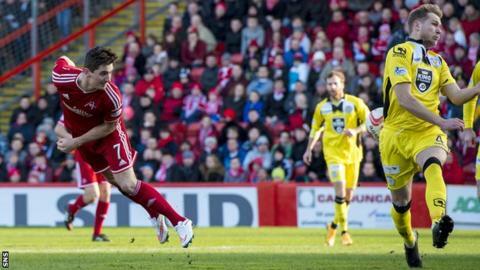 Aberdeen are third in the Premiership while St Mirren are second in the Championship.